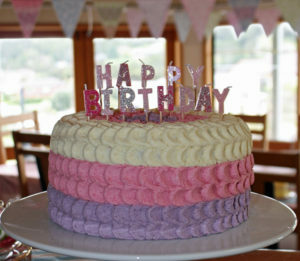 Naturally Bespoke Cakes > Blog > Our Cakes > It’s our birthday!! Wow, it’s hard to believe that it’s been 5 years since Naturally Bespoke Cakes was born. To celebrate we will be having specials deals during the week along with free shipping on orders over $25. 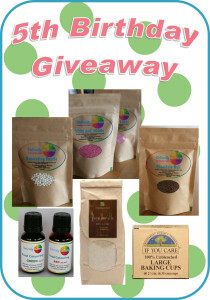 And we might through in a Facebook giveaway too. Very exciting times!! 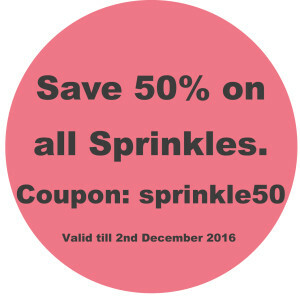 Our first discount is a whopping 50% off all sprinkles. Use coupon code: sprinkle50 at the check out to get this great pricing. Get in quick as this deal only lasts until the 2nd of December. 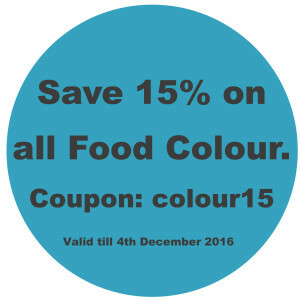 And here’s another deal for you, 15% off all food colouring. Use coupon code: colour15 at the check out to get this discount. Again, you better be quick as this deal only lasts until the 4th of December. Here’s our lucky last deal for you, 20% off all flavours. Use coupon code: flavour20 at the check out to get this discount. This deal only lasts until the 7th of December. And we are running a little birthday giveaway over on Facebook. Click the image below to head over and get yourself entered!